And he had cable. So I’d watch my Saturday morning cartoons with no worry that my mom would find out and disapprove. Then, after those were over I’d look through his VHS tapes (we did not have VHS at home. Tv and movies were not encouraged at all. I only begrudingly was allowed Saturday morning cartoons, and sometimes I wasn’t allowed to watch certain cartoons, like She-Ra or Jem. Apparently they were ungodly, something I really do not understand as an adult because She-Ra was a hero who helped everyone and Jem and the Holograms ran a freakin’ orphanage.) He didn’t have a lot for kids. There was The Smurfs and The Magic Flute, which I watched almost every week. Also, there might have been a bit of burgeoning self awareness because I was actually ATTRACTED to Leia as well. I imagined being Luke, but I wanted to be with Leia. I got bits and pieces of who Carrie Fisher herself was. But there was always a bit of self distance there, because I WANTED, desperately, to maintain my idolization of her, and I needed her to remain the luminous, beautiful person she was. She was bold, in her personal life. She never seemed to let aging or the crush of reality, or Hollywood culture rule her life. She never obeyed. 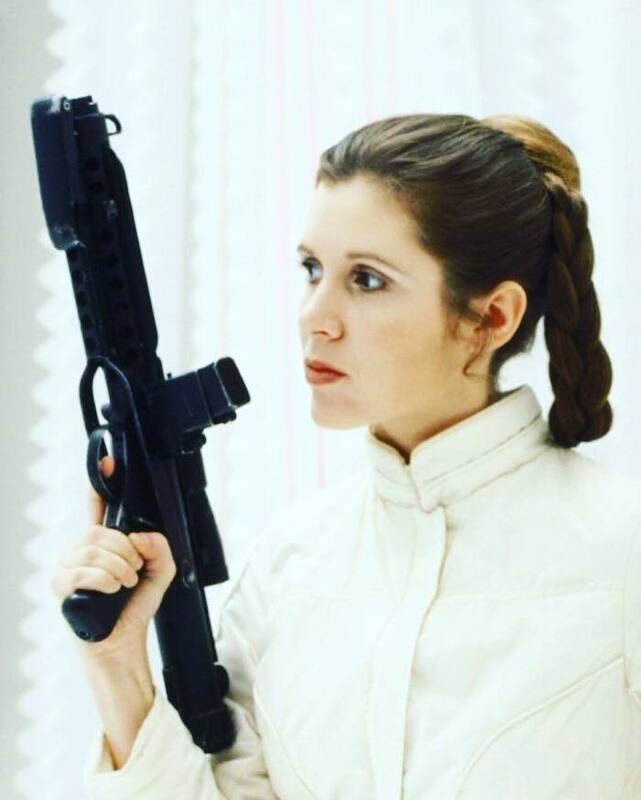 She was always bold and clever, strong and beautiful. She was and always will be one of my few lifetime idols.